A 'boundary' is usually intended as an edge or a limit of a system, but it defines, at the same time, the framework of possible actions within and beyond the system itself. I think that in the human beings' history, the critical observations of such limits pushed, and still pushes, our creativity toward the construction of a better world. The purpose of this work I conducted in the frame of the Project MEDEAS H2020 (also @ProjectMEDEAS, MEDEAS on Facebook) in collaboration with the Global Sustainability Institute of the Anglia Ruskin University (Cambridge, UK) and Consejo Superior the Investigation Cientifica (Barcelona, SP) is to highlight the discrepancy that currently exists between the package of measures to mitigate the climate change promoted by COP21 and those actually adopted by the European Union in the Roadmap 2050 package. The COP 21 goal concerns the staying within 2°C of warming by 2100. This target temperature depends on the carbon dioxide concentration that will be present in the atmosphere in 2100, from which originated the idea of “carbon budget”, namely the amount of carbon dioxide gasses we can still emit, from present to 2100, to not overtake that limit. EU measures, instead, only pledge to cut the value of 1990 greenhouse gases emissions flow rates of -80% by 2050, but without giving an estimation or a maximum ceiling of the amount of carbon dioxide will be present in the atmosphere by 2050 (and later on to 2100) thanks to those measures. This is why the impact of the ongoing EU regulations on global warming is still unestimated. The aim and the novelty of this study are to propose, for the first time, a carbon budget estimation for the European Union, which represents the most significant physical characteristic to assess the feasibility of current EU-28 greenhouse gas reduction objectives under the goal of 2°C of global warming promoted by 2015 Paris treaty. Perissi, I.; Falsini, S.; Bardi, U.; Natalini, D.; Green, M.; Jones, A.; Solé, J. Potential European Emissions Trajectories within the Global Carbon Budget. Now published Ilaria Perissi, Sara Falsini and Ugo Bardi paper on how to discover if a Meme propagates thanks to own viral power or ....to commercial advertising/propaganda operation! The two peaks look like to be very simila....but they are not! 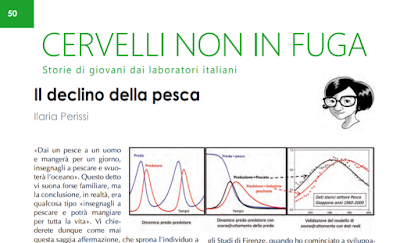 Last August, I had the opportunity to write a column for the magazine "Sapere" (Edizioni Dedalo) in the section "CERVELLI NON IN FUGA" ( translatable in "Brains.... not in drain..."). "Sapere" is the oldest Italian magazine pledged to disseminate Science at a general public; further information on the magazine aims and topics are reported in the footnotes. "Give a man a fish and he will eat for a day, teach him how to fish and he will empty the ocean. " "teach him to fish and eat for all life"
You will ask why I transformed this wise statement, which invites the individual to be lively and far-sighted, in a sentence used to qualify a man who, instead, is anything but wise, that grabs beyond what is necessary for the subsistence, leaving behind an empty ocean. The answer is that the new version of the statement describes perfectly the phenomenon of overfishing (fishing over the limit), a term that qualifies modern fishing as a process no longer sustainable for the fish species and for the fisheries’ economy; to understand why we just need doing a small investigation. The first case of well-documented overfishing dates back to the nineteenth century when sperm and right whaling in the United States collapsed within a few years after almost one century of activity. The sperm whale is a precious whale, which provided the society with many primary goods, like the oil for illumination, stored in the front part of the whale’s skull; in addition, meat and even the bones were transformed into various types of tools. At the end of the 50s, it has been the round of Californian sardines: they were so perfect in cans that at the end few remained in the sea. I also mention the case of the Peruvian anchovy (the 80s), of Canadian cod (1992) and the recent decline of the entire Japanese fishing industry: even after a long time, the values of landing in these areas never returned as abundant as before. What's common in these episodes? Thanks to the work done during my post-doc at the Department of Chemistry of the University of Florence, when I began to develop mathematical models inherent to the dynamics of environmental sustainability, I could see that the landing trend, comparing the various historical data, had, in all the aforementioned cases, designed a bell shape curve. 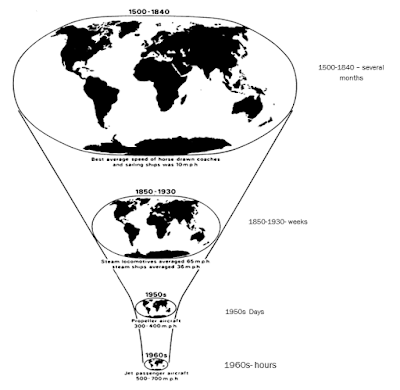 This trend is similar to the one described by a famous model of ecosystem dynamics, the prey-predator model. This model describes the dynamics of two populations, of which one is nourishment of the other: when there is an abundance of prey, predators increase, they catch the prey and then starving when the prey is too scarce, a condition that let the prey to reproduce and to return in abundance, closing the cycle. The problem today is that when the fish goes into deficit, the fishing industry activity, instead of slowing down, becomes more intense to satisfy the unvaried market requests, extracting the fish at a greater speed of that it is able to reproduce, creating a condition of over-exploitation. This causes damage unrecoverable, as in the case of the right whale, now in endangered, or recoverable only partially and with very long time. We need, therefore, to learn from the prey-predator dynamic to respect the rhythms of reproduction of species, avoiding in this way that the environment and the activity of the fishing sector being damaged irretrievably. Perissi, I., Bardi, U., Lavacchi A., & El Asmar, T. Dynamic patterns of overexploitation in fisheries. Ecol. Modell. 359, (2017). Founded in 1935, Sapere is the oldest Italian magazine pledged to make Science accessible at the most variate general public. Since its birth, it has replied in an exemplary way to the question of a rigorous scientific knowledge but at the same time clear, comprehensible and pleasantly usable. The rigour and the passion for science, the aversion to forced simplification, the refusal to follow the passing fashions, the big names and the authoritativeness of the contents, guaranteed by an editorial and scientific committee, remain of the tradition and the history of Sapere. The new Sapere magazine focuses its attention on scientific topicality and the history of ideas, giving rise to questions in readers useful to develop the critical sense, without ever forgetting the inseparable link between science and its discoveries on the one hand, and society and its members on the other. Van Gogh was a genius, he invented a really new way of painting, and as you probably know, he has been an almost self-taught artist, and, as I'm going to show you, he has been also a very smart modeller. But, how I can affirm that 'to model' is relevant to Vincent Van Gogh operas? Let me step back, before to go to the question point, and make me stress you a bit on the concept of modelling commonly intended in scientific areas. In fact, modelling has been and is an essential and inseparable part of many scientific disciplines evidencing the high frequency with which our mind struggles to scheme a complex reality to understand it better. Just think about the importance of the use of 'modelling', for instance, in chemistry, where atoms and molecules are represented with graphical models by which we can solve the structure of almost all the known substance. Or, let's think to mathematical modelling, which is the most ancient and efficient tool to universally capture the patterns for the changes we observe around us. Moreover, thanks to the birth of computational science, we passed, in few decades, to scheme a model using pencils, papers and solving equations with hours of manual calculations, to realize it using a computer, with which we can sketch the same equations, now solved, very fast, by an appropriate software. I used the word ‘sketch’ because, with some of these programs (i.e. google for the terms ‘Vensim’, ‘Stella’, and you will see), even math operators and variables can be represented by graphical objects. It is worth to highlight that those graphical objects often recall the shape of subjects that already have a meaning in our mind (arrows = flows, valves = regulators, boxes =stocks) so that, this new language permits 'to write mathematically' in a more intuitive way, allowing a huge saving of time in understanding if a model is catching the system under investigation or not, especially for those are not expert of math stuff. The development of this kind of 'drawn-mathematical modelling' is mainly due to an idea of Jay Forrester, by which he revolutionised, during the 60s, the study of the 'dynamic of complex systems', better known as Systems Dynamic. You can find all the information about Jay Forrester, his brilliant mind and his revolution searching in the web, anyway let's keep its name in mind, I will recall him again below. In the view of the above, we can now reasonably affirm that modelling is an attitude of a rational mind, characterized by the use of reason or logic in thinking out a problem. An attitude, getting now to the point, that also the famous artist Vincent Van Gogh surely had, as I discovered visiting the Van Gogh Museum in Amsterdam, precisely during an 'off work' moment of the System Dynamic School, I was attended in Delft in summer 2016. Anyway, if you go in depth in the history of his life and his art, you will find that the previous affirmation describes a feeling that is the result of all, except that an irrational process. And I realised this when I found in the Vang Gogh Museum, his famous ‘box of yarn’, a small Chinese, red lacquer wooden box, that held 16 balls of wool. I knew some episodes of Van Gogh life from the night classes of the Art school 'L.B. Alberti' (website only in Italian) I attended between 2002 to 2004 in Florence, but I didn’t know the existence of this box before to go to the Museum. But when I saw it, I immediately realised he used this box ‘to model’ the colours’ contrast and combinations for his paintings. A tool to paint...Vincent has been..in certain sense, a modeller! Probably I went too fast to this conclusion, as sometimes intuition make you do, but, could I be confident with this affirmation? This fact induced me to investigate more the importance that box could have had in Van Gogh art. Was that box, that modelling tool, really useful for him in understanding a system? The available information about Van Gogh life report he studied the colour theory of Charles Blanc in 1884, when he lived in Neunen, dispelling the myth that his talent came out of some automatic unconscious well of genius and/or madness. Figure 1. Van Gogh numbers of paintings as a function of time. The first peak corresponds to the period in which the painter approached the colour theory, and used models of others. 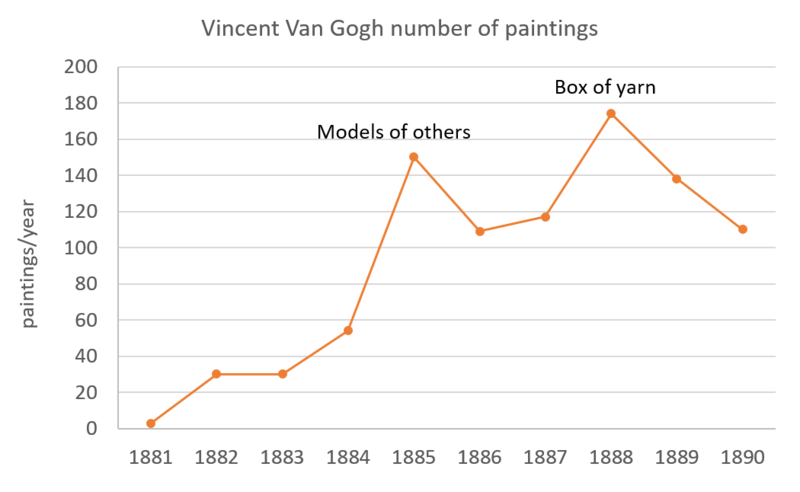 The second peak corresponds to the period in which he used the own modelling tool, the box of yarn, and his canvases started to look like textile.Data from Wikipedia, graph by Ilaria. During those 9 years, he realised around 1000 canvases, culminating in two production ‘peaks’ in 1885 and in 1888. Could it be reasonable to suppose these higher 'production rates' were related to the use of modelling that helped the artist to catch the 'systems' he wanted to represent? Let's see what the facts tell us. 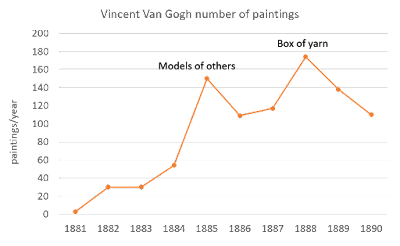 The first peak is in the year 1885, shortly after that Vincent approached the theory of colour using the models of others. Van Gogh quite certainly resorted also the ‘colour wheel’ devised by the chemist Michel Eugène Chevreul, with which he could preview the effect of mix determines tonalities. Probably, this modelling tool gave him a more in-depth understanding of how he could translate what he had in mind on the canvass, culminating in a production of around 150 paintings in the year 1885. We can also note, that from his first paintings of the period 1881-1883, he changed the style, introducing more colours and more contrasts (see the previous wikipedia source and scroll down the images of the paintings). 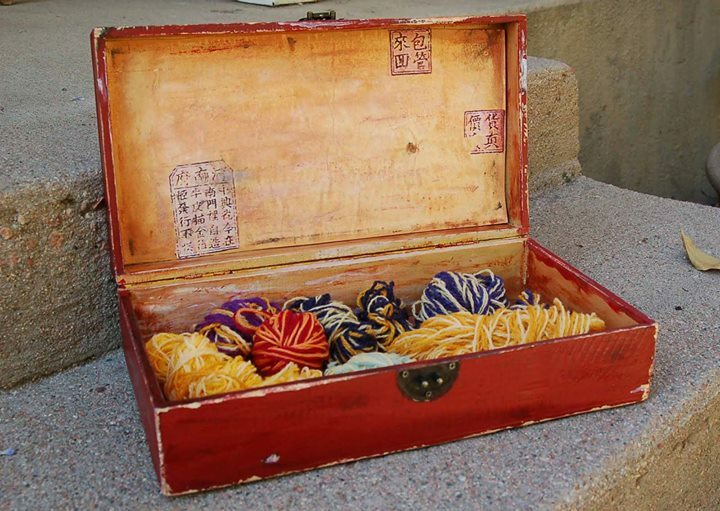 The second peak in 1888, could be connected with the use of the tool, ‘box of yarn’ (figure 2): Vincent invented is own modelling tool to model the colour combinations, inspired by the work of the weavers he painted in Neunen few years before. It is Van Gogh’s friend, Bernard, who reported about the existence of this box, shortly after the painter death, and he said it was in Paris he saw the box for the first time, from 1886 to 1888 when Bernard met and worked with Van Gogh before Vincent left to Arles. In the paintings of these years it is clearly visibile the Vincent's famous brushstroke reminding the consistency of a textile. Moreover, with the help of the yarns, he was able to test the combination of colours without waste tempera. Thus, we can now reasonably conclude the maximum production of Vincent paintings corresponds at the moment in which he approached the colours’ modelling tools. But again, what system did he want to represent? 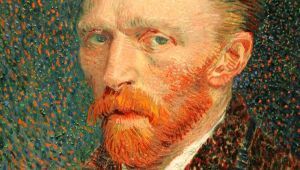 Analysing the historical changes in Van Gogh, let’s say, ‘styles of painting’, it is in evidence that Vincent mind wanted to go beyond the appearance of the colours, he ran after the colours' potential up to invented an own modelling tool, the ‘box of yarn, to represent the beauty of Nature and of life, let's say very successfully. In a certain sense, the box and the yarns could represent one of the precursors of the RGB colour model now implemented in the representation and display of images in electronic systems, such as televisions and computers. The image of the world around us, which we carry in our head, is just a model. Nobody in his head imagines all the world, government or country. He has only selected concepts, and relationships between them, and uses those to represent the real system (Jay Forrester,1971). Could these sentences represent also a painting process? Is a painter a sort of modeller? Following the rational of previous words, most of the painters are interested in reporting an image of the world and the paintings are just models of that images, including both the material world as well as the rapresentation of feelings and situations; they are not models of the whole world, but of a set of selected concepts and relationships used to represent a real material system, which could be a landscape, a still life, a portrait, a situation or event, as wars, battles, a sunset or a ‘starry night’, ‘potatoes eaters’ and representation of feelings as in the painting 'Sorrowing Old Man' or 'Two lovers'. Then we could conclude saying that this is not only the case of Vincent …all what a painter paints can be seen as a model of a real system (material or intangible) and Van Gogh has had the added merit to invent a new modelling tool to do it. So…is this concept reversible and is a scientist, an economist, and any other of the more 'common' intended modellers.. a sort of painters when modelling an image of the real world? I wish a good work to all my friends and to have a new year full of inspirations! Intervista ai ricercatori coinvolti nel progetto MEDEAS per la TV Catalana TV3, con modesto intervento anche della sottoscritta. Il progetto MEDEAS (www.medeas.eu) studia come attuare una rapida transizione energetica e socio-economica ecosostenibile implementando le energie rinnovabili. Buona visione! Interview with the MEDEAS project participants broadcasted last night by the TV3 Catalan, containing a short contribution also by myself. MEDEAS studies how to accomplish a rapid energy-socio-economic transition toward a more sustainable and ecologic society, implementing renewable energies. Enjoy ! During the MEDEAS workshop at Summer Academy of the Club Of Rome, held in Florence last September, I met several amazing students. I looked at them with a bit of envy: I really feel like a student, even today I'm 45 yo. I'm only more aware I have less time to chase the countless things I have left to know. Anyway, while I was speaking with them, some looked very conscious about what they wanted from the Summer School experience and they told me about their nice projects for the future. So glad to feel such an enthusiasm! In the far 1994, I was already attending the University classes in Chemistry but the study went slowly, several thoughts crowded my mind: what did I really want my future is? Did I do the right choice with that chemical stuff? Therefore, I decided to take a look at the labour market and, at that moment, a competition notice as an engine driver was published. The access requirement was to hold a technical high school degree that precisely I have. 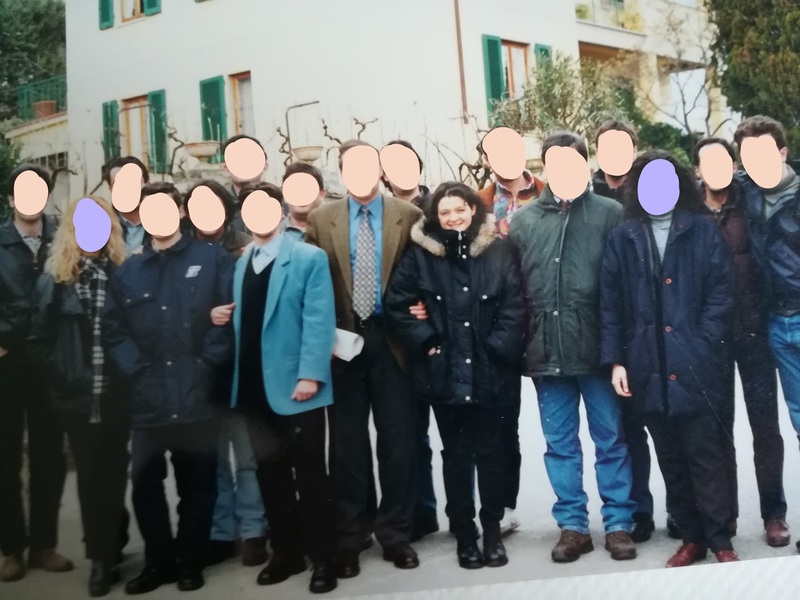 I won 'the job' and in October 1995 I was employed with a training contract in the Italian Railways company, Ferrovie dello Stato SpA. 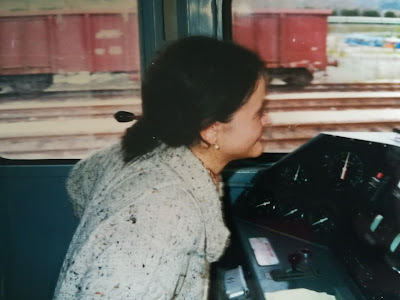 The experience showed up incredible, at least for me: in 2 years of a full-time salaried training and provided that I passed 3 enabling exams (theoretical and practical), I would have been a licensed engine driver, gaining also a permanent contract. I met very nice colleagues, we had classes with instructors(see pictures 2 and 3, not very esthetic, but with privacy) alternate to practical training, driving a real train with real people on board, under the supervision of more expert colleagues. And the job was also well paid, let's say, fortunately, because it is really a challenging job... and so exciting! My preferred engine was the Caimano, so versatile and powerful, you can see a picture of me (figure 1) in driving it on the railway between Florence and Rome. Figure 1. Here is me, driving a Caimano on the railway between Florence and Rome. Figure 2. Engine driver mates and instructors during a lunch break at Chiusi railway station. Figure 3. Engine driver mates and instructors during a lunch break at Vernio railway station. I felt relieved, I achieved also a good economic independence, a milestone of my life. But after the first year, I realised I didn't want to do this job for the life. Hufs! Crisis again....but it has been not so bad as the first one because I realised I really wanted to go back to study Chemistry, I realised how that world, the world of Science and Research, was and still is really fascinating for me. But...Could I leave that job to renounce at my economic independence? I couldn't...so that I went on with both, working and studying chemistry. Today I'm no more an engine driver, the things changed further short after my contract became permanent at the end of 1997. I found another full-time job to sustain myself and to pay my fees and in 2001 I obtained my Master's Degree in Chemistry...but this is another story. Today I earn quite less than an engine driver but, fortunately, the opportunity to manage scientific stuff, in particular, 'to Research' is still in my life. I have never given up and I would like to thank all the people that trusted me and encouraged me in to do it: now I'm enjoying all this as never before and I will do it while it lasts. Thus...Students, of any kind and age, make up your mind to follow your instinct and passions, even they look confused. Any road you decide to walk, leading far from what you planned or closer to it, will clarify what really you are and you want, and this will be never a waste of time! This workshop will report the current results of the ongoing EU project MEDEAS. The project aims at modeling the global and European economy as a function of the availability of natural resources, climate change and the policy choices that have been made and will be made in the future. It is focalized in particular on the effort needed to keep Europe on track of the decarbonization process necessary to attain the objectives of the Paris agreement. The project makes use of advanced modeling techniques, mainly based on system dynamics and it aims at producing a flexible tool designed to help policymakers taking appropriate decisions. The project is ongoing, but the available results already indicate that for the European economy, remaining within the boundaries agreed in Paris, a major effort will be required in terms of improved efficiency, growth of renewable energy and emission abatement. 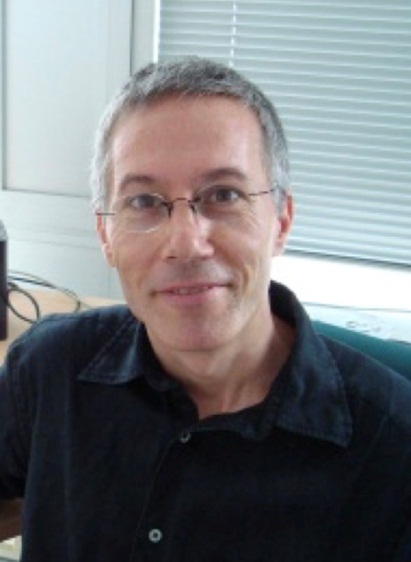 Ugo Bardi is a faculty member of the University of Florence, Italy. He is the author of the book “Extracted” (Chelsea Green, 2014) dealing with the world’s mineral resources. 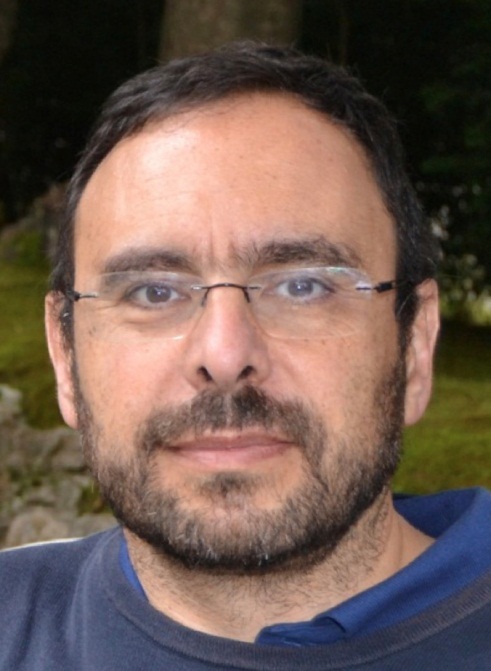 In MEDEAS, Ugo Bardi is engaged with the INSTM team that carries out simulations and scenario building in the area that has to do with the physics of the energy transition. Ugo Bardi’s web site is at www.cassandralegacy.blogspot.com. 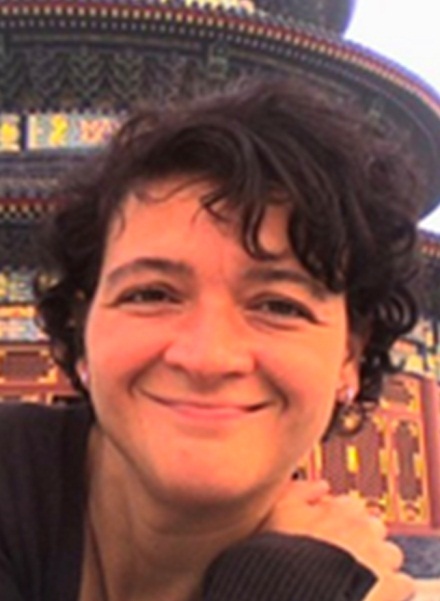 Ilaria Perissi is a Senior Researcher at INSTM dealing mainly with the development of Green Chemistry manufacturing for Industry and Power Sector. More recently she focused her interests on System Dynamic applied to the study of resource exploitation. Her contribution in MEDEAS relies on the development of the Scenarios that aim at both describing the ‘big picture’ of the transition as well as becoming a reference for MEDEAS modellers. 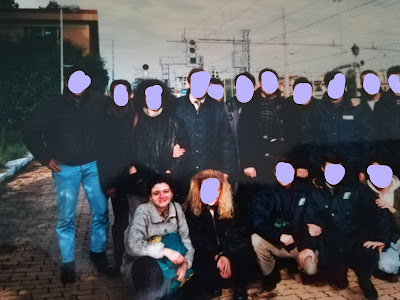 Researcher at University of Florence, I'm a Physical chemist with a PhD in Materials Science by the University of Florence (Italy). I have alternated work experience in the academic field with those in the private sector, developing skills in the field of energy saving and renewable energy. Recently I have expanded the research field to Systems Dynamics, developing models on resources overexploitation. I worked also on several European projects, and, at moment I'm engaged in MEDEAS project to design scenarios on renewable energy transition in Europe. 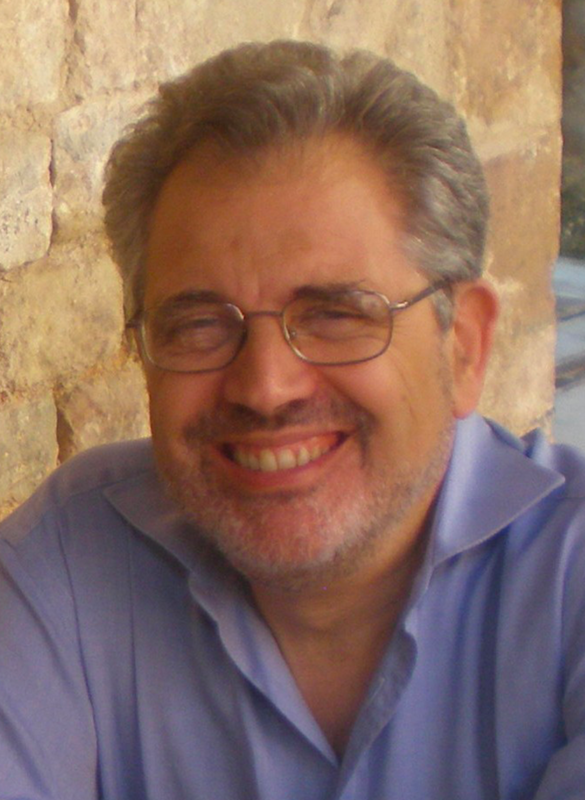 I'm a member of the Italian Society of Systems Dynamics and since 2017 I'm Physical Chemistry Honorary fellows at the Chemistry Department of the University of Florence.